This week’s Top 10 Show with Matt Knost and John Rocha was the recording of their first ever live show that they had a few weeks ago in Los Angeles. It sounded great and having the audience laughing behind them brought a certain energy to the podcast. The topic they decided on was Top 10 L.A. based movies of the last 25 years. They specified the last 25 years to bring the number of possible choices down. Die Hard, Beverly Hills Cop, Chinatown etc. would not be considered for this list. I liked my list as several of the films that I have on my list are different than either Matt or John. It’s fun that way. It would be so much fun to see Top 10 live. They clearly have a ton of chemistry and perform well in front of a crowd. They have a great interaction with the crowd. #10. Speed. 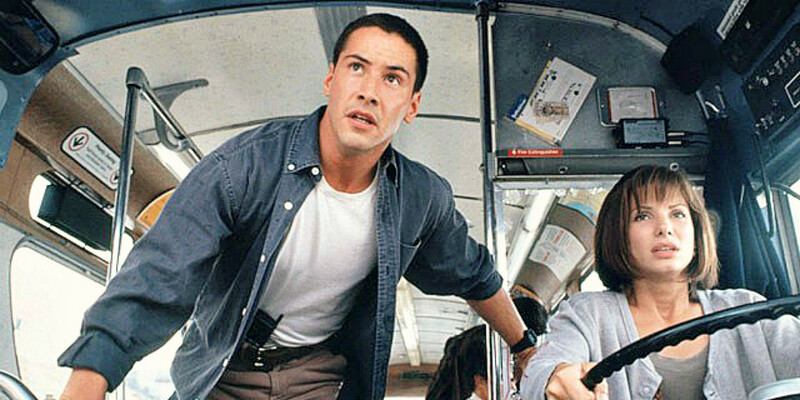 Right on the outskirts of the 25 year max, Keanu Reeves and Sandra Bullock’s classic action movie featuring a high speed bus that must remain going that fast or else it will explode. This film kept me on the edge of my seat for the longest time and then, once the bus was taken care of, the finale continued to pick up the speed. Dennis Hopper was a great villain here and had a great chemistry with Keanu. #9. 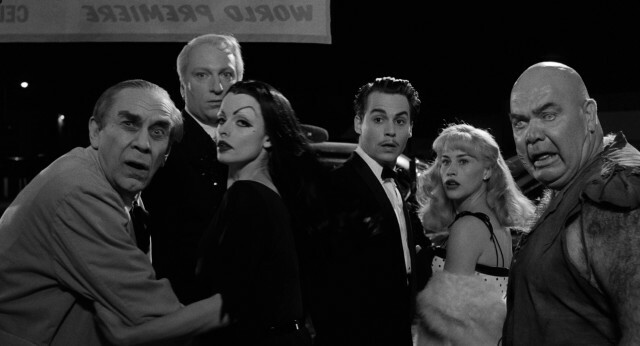 Ed Wood. A great picture about one of the worst films ever made, Plan 9 from Outer Space. Ed Wood was a horrible director but he still had a love of the film business. Johnny Depp was solid as the title character and there are great performances from Martin Landau, Vincent D’Onofrio, Bill Murray, Sarah Jessica Parker, Jeffrey Jones and Patricia Arquette. Oh, and George “The Animal” Steele too. This was a lot of fun. #8. Cellular. The future Captain America started here in Cellular as Chris Evans is out to help save Kim Basinger, who has been kidnapped and desperately is trying to contact anyone on a damaged phone. Sure, this is most likely a goofy film with a questionable premise, but I found it really exciting and thrilling. Jason Statham was also here as one of the villains in the movie. It is a film where you have to suspend disbelief, but I find it to be a great guilty pleasure. #7. Saving Mr. Banks. The story of how Disney brought Mary Poppins into the House of Mouse. If you ignore how much they actually screwed on P.L. Travers, the original author, the film is a fun family film. I love the scene where they play the song “Let’s Go Fly a Kite” to Travers and she winds up dancing with Don (Bradley Whitford). Tom Hanks is his normal wonderful self as Walt Disney. Emma Thompson brings a great emotion to the story of P.L. Travers. In the end, Mary Poppins was such a personal story to her, it was tough for her to watch what Disney wanted to do with the character. I loved this. #6. Hollywoodland. This was actually the first film that popped into my head when I head the topic. I loved this film starring Ben Affleck as George Reeves, television’s first Superman. The film deals with what actually happened when Reeves died, which has been a mystery since it happened. I loved the way they presented the mystery of the death of George Reeves, with Adrien Brody looking into the truth. And the scene with the little boy pointing the very real gun at “Superman” expecting the bullet to bounce off was really tense. In the end, I liked how they left the story up in the air. Hollywoodland is an underappreciated gem. #5. Nightcrawler. What a dark and wonderful film. 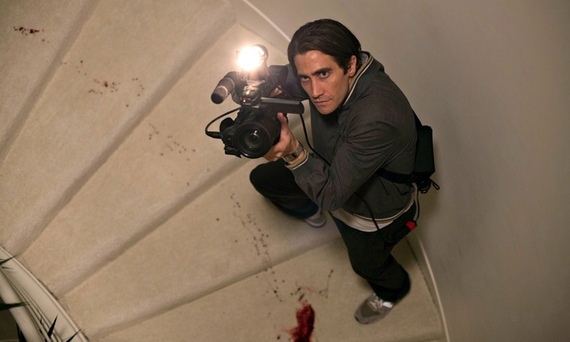 It is awesome that Jake Gyllenhaal is willing to play such a low life scumbag in a film. Louis Bloom is such a rotten human being, doing whatever he can do to get the story for the news. The sensationalism of the new media has been a problem for years and it can really attract these kind of people. Gyllenhaal really deserved to be nominated for an Oscar for this role and his snub was one of the worst. #4. The Big Lebowski. The Dude! I just recently saw this for the first time this year and I really enjoyed it. I usually am not a fan of stoner films, but this turned out to be more than I thought. Jeff Bridges was transcendent as the Dude. He is the most charismatic character that I have seen on screen in a long time. John Goodman was a bit much for me as I wondered why anyone would continue to keep this guy around. The Big Lebowski was really funny and deeper than you would expect. #3. The Muppets. The gang gets back together and tries to save the old theater from an evil oil baron. Great music. Great songs. Great comedy. Jason Segel and Amy Adams play the human couple that is there as the Muppets try to bring the Muppet Show back to the world. Chris Cooper is the perfect evil oil man named Tex Richman. 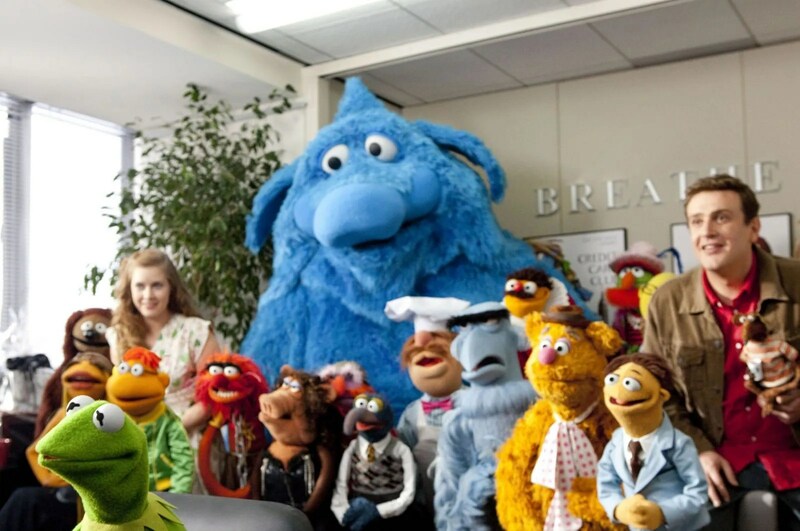 There are the typical Muppet cameos throughout the film, including Jim Parsons helping Segel and new Muppet Walter in the best song, “Man or Muppet.” The Muppets are always tremendous. #2. The Disaster Artist. Another story of the filming of one of the worst movies ever, this time, The Room with Tommy Wiseau. James Franco does a remarkable job playing the mysterious lead actor. However, The Disaster Artist works mainly because it focuses on Wiseau and his feelings and wishes. It is not just about the filming of The Room, it is about the relationship with Wiseau and Greg (Dave Franco) and that relationship is real and powerful. #1. Pulp Fiction. Quentin Tarantino and his classic movie is my number one. I love the dialogue of this film and the performances from John Travolta, Sam L. Jackson, Bruce Willis, Vin Rhames, Uma Thurmon are unbelievable. Some of the dialogue from these pairings are some of the best ever. The Royale with cheese. That one charming Motha f***ing pig. I love you, honey bunny. Pulp Fiction is most probably my favorite Tarantino movie yet. Honorable Mentions: Drive, Bandits, Get Shorty, American History X, Boogie Nights, The Mask, Zombieland, Collateral, La La Land.